Everyone experiences nervousness at some time. It is part of the human condition. However, it can be debilitating if you let it control you. If you use it to your advantage and get in touch with the associated feelings, you can actually come out stronger and perform better. I want to talk about two things that you can do to get nervousness under control – naming the feelings involved and developing a success anchor. In a previous post, we discussed naming feelings as a way to gain control over them – you may recall Dan Siegel’s dictum, Name It to Tame It. Nervousness will affect your thinking – your ability to concentrate and your clarity. It can be felt in the body as agitation, tenseness, shaking, pacing sweating , a dry mouth, shallow breathing or any multitude of other bodily manifestations. Nervousness can severely impact your performance. I recall chairing one job interview panel for a managerial position and one of the applicants was so nervous that he had difficulty breathing. I spontaneously started breathing slowly and heavily and he began to pace me with his own breathing and regained control so that the interview could proceed. Behind the nervousness can be any number of feelings or a group of feelings, such as hesitant, anxious, doubtful, wary, fearful, uncertain, unsure or uneasy. There are also expectations by others and our own expectations that can intensify our nervousness and our associated feelings. Ariarne Titmus, 17-year-old Australian winner of the 400 metres freestyle swimming race at the 2018 Commonwealth Games (Gold Coast, Australia), in a Commonwealth Games record, said that she was nervous before the 800 metres race. When asked why she had been nervous, she said that it was because of the expectations she placed on herself about the result. She went on to win by a large margin and broke the Commonwealth Games record again. So, no one escapes nerves, no matter how good they are. If you care about how you will perform, whether in a sporting event, job interview or presentation, you will be nervous. The challenge is to use the energy of nervousness in a positive way to perform to your best, rather than be crippled by it. I discussed a meditation on emotions practice in the previous post on naming your feelings. 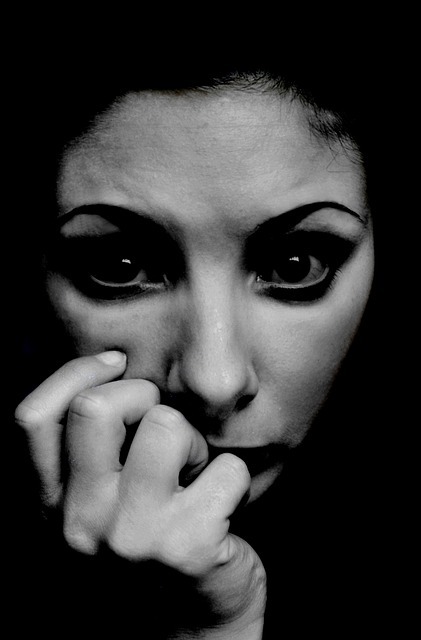 This can help you manage your nervousness. The initial mindful breathing step slows down your body and reduces your bodily reaction to nervousness. The second step of body scan helps you identify and release points of tension in your body. The third step of naming each feeling helps you to get in touch with each feeling and the expectation set that is influencing your nervousness. Once you name the feelings that give rise to your nervousness, you will be better able to control them and to keep the impact of your nervousness under control. You can access the list of feelings to help you name your feelings. One way to help manage nervousness is to recall when you were successful with a similar event that you are nervous about (or even some other successful activity). Picture yourself experiencing the success event and the positive feelings associated with this success – confident, delighted, thankful, relaxed, energetic, reassured – and absorb those feelings. Now recall what you did to make it a success – planning, practice, deep breathing, consultation or another precursor activity. This anchoring process helps you to move to a more positive mindset, and to remind yourself that you were nervous the last time and that you successfully overcame those nerves. It also helps you to get in touch with the success strategies you used previously, because when we are nervous we sometimes have difficulty accessing these past successful strategies – we are too tense, agitated or anxious to be able to focus properly on what is required. Revisiting the positive feelings of success reassures you, too, that you can be successful. As you grow in mindfulness, you develop self-awareness and are better able to name and tame the feelings giving rise to your nervousness and you can more easily access prior successful experiences and strategies. This, in turn, builds your self-management capacity.